Julie Carey is a Flat Connections Global Educator who is following a passion for helping kids share their stories. 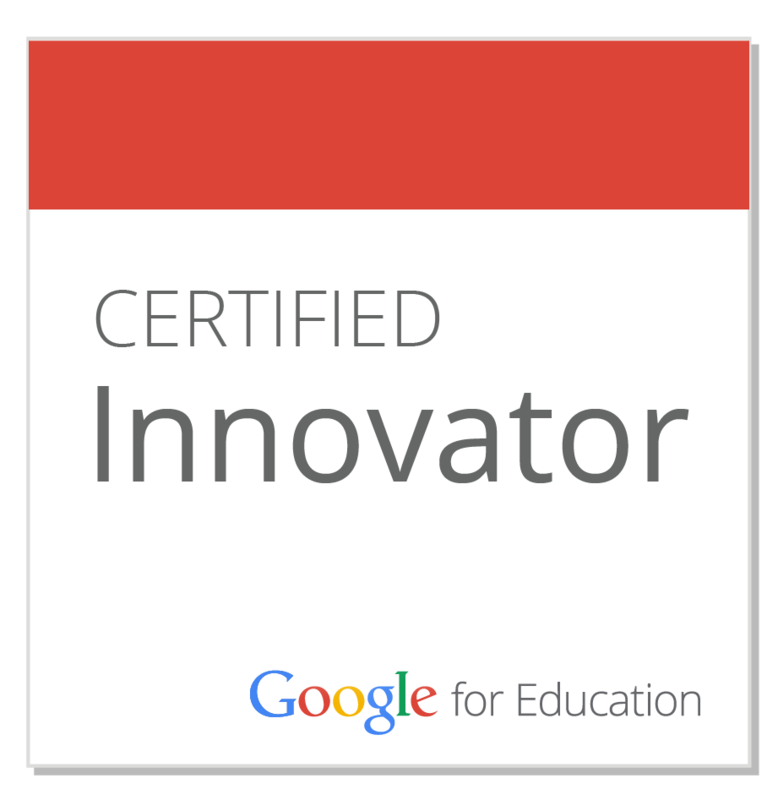 She is an inspiration to all global educators as she focuses on supporting kids to tell their stories and creates a library of eBooks for other kids to access and learn from. 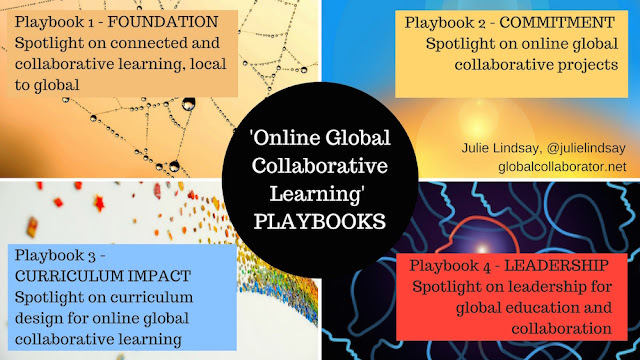 As she told me way back before the book was published, "Our work is inspired by the emergence of collaborative online educational innovations that connect students from all over the world." 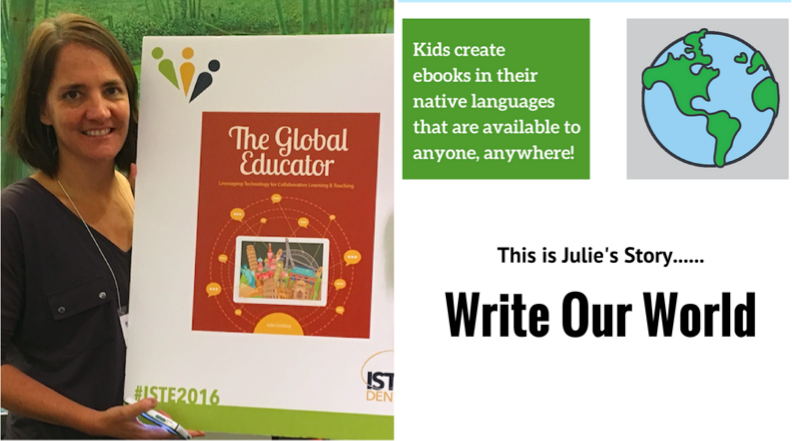 Julie's non-profit organisation 'Write Our World' is going from strength to strength. 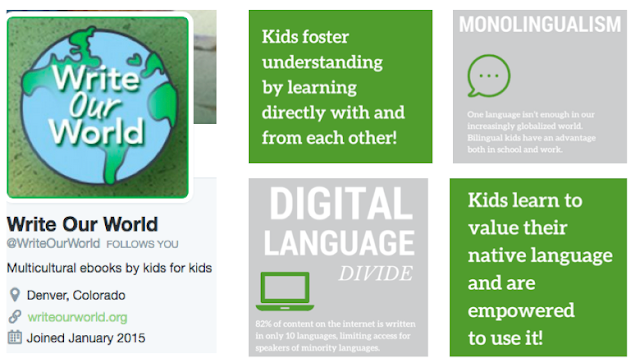 As a social enterprise it's aim is to support global citizenship and multicultural literacy. Make sure you browse the website - as this blog post is written it now has 111 books, 382 authors and 25 languages represented! Do you want your students to be published authors? Write Our World will help with all the tools you need. Listen to the podcast below for more details about NEW opportunities. 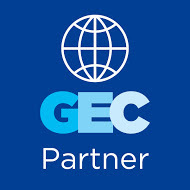 This opportunity is interdisciplinary and also supports digital literacy objectives and global collaboration standards across the curriculum. This recent podcast from Julie contains relevant and updated information about Write Our World. Hear about the remote publishing feature that will enable authors to write content from anywhere. Jump into the Beta version - includes a free month of publishing! 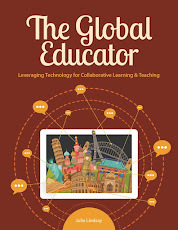 This is the seventh post in what will be a 36-week series featuring the 36 case studies from my book, 'The Global Educator: Leveraging Technology for Collaborative Learning and Teaching'. This book was published by the International Society for technology in Education in July 2016. 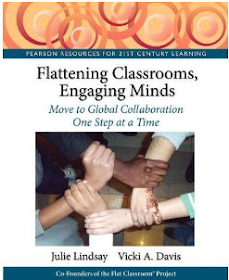 The book contains contributions from over 100 educators and case studies featuring over 50 educators.